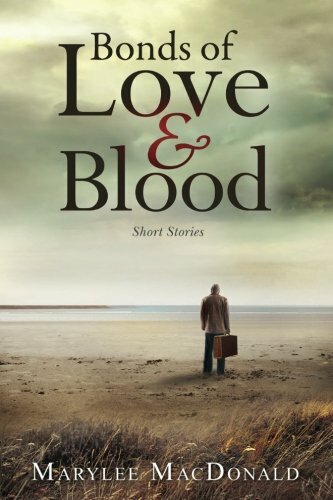 “Bonds of Love & Blood” by Marylee MacDonald is an excellent book of short stories that will capture reader’s hearts and stay with them even after reading. Through MacDonald’s writing readers are transported through a variety of plots, some which they have or may encounter that will give them the opportunity to decide on the endings. The short stories carried one from another with great ease and a seamless flow. The plots span around the world and the characters range widely in age. These stories really hit home with this reviewer, especially one story from Lana about letting adult children go, and another when a thirteen-year-old has difficulty with her over-bearing father. All the stories show readers how the bonds we have with others, good or bad, can either be very rewarding or chain us down. It is then we must decide to stay or let go, and for some that is the hardest part – letting go. It reminds us that we only want the best for others in all situations and sometimes the control we seek will not help others grow. At the same time, sometimes we just grow passive, just so we can enjoy some peace. I like that these stories give one the opportunity to determine or at least think about what they would do in these various situations. MacDonald’s characters are all well developed and written in first and third person helps with the story development. As with many readers, the choices we make can be very small or one that will make a huge impact in our lives and the lives of others. This reviewer got the sense while reading that some of the characters she would either hate or love. In my mind, I kept giving advice on what to do. The author’s writing in “Bonds of Love & Blood” was so easy to read and understand and one felt like the characters were people they encounter every day. Her descriptions of the different locations were so vivid you almost feel you are right there experiencing things right along with the characters. I certainly look forward to reading more works by Marylee MacDonald.